Home Scams Update WordPress database SCAM – DO NOT OPEN! 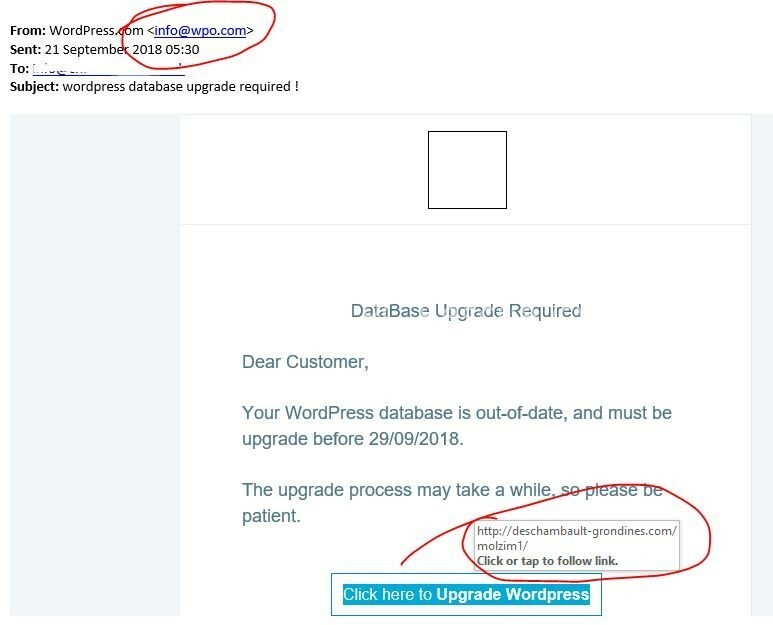 If ever you get emails that you are not 100% sure about just hover your mouse over the link and look at the web address, you can clearly see here that this address (URL) is NOT a WordPress.com address or your own website address, the email address where is it sent FROM is also not wordpress.com as you would expect. All these little signs tell you NOT to click the link – If you are not sure just ask your I.T. guy! Please share this with anyone you know who has a website, you could stop them being scammed!